I had the pleasure to work with Mary Callaway, an amazing realtor. She is very knowledgeable and wont stop working till she finds you the perfect home. She values the buyers needs and expectations and always gives the best professional opinions that helped me so much to buy my dream home. She is very resourceful as well to guide me in many other areas beyond just the home buying. I am beyond thankful and will recommend her to all of my family, friends and any one that needs a realtor. Through out this process, I not only worked with the best realtor but also gained lifelong amazing friend. I thank Mary from the bottom of my heart for being by my side in every steps of this process and making this possible. If you’re buying a house in the Orlando-ish area, you want to work with Mary Callaway from the Yao Team! The long version: We first contacted the Yao team of realtors based on their positive reviews and we’re so glad we did! Mary Callaway was the realtor who helped us find our home and we can’t recommend her highly enough. We’re first time home buyers and we were looking for a home for our multigenerational household, so we had some really specific needs in a house and we were quite overwhelmed with the process. Mary walked us through each step of the way, explaining everything as we went along and providing plenty of information for every question we had. She listened attentively to our needs and took the time to get to know our family so she could help us find the home we wanted. Throughout the entire process she was professional, kind, helpful, and highly knowledgeable. She took all the anxiety of a first home purchase and made it an exciting thing! We felt very comfortable with her advice and it didn’t take long at all for us to find the home we wanted. Mary went over and above the call of duty to make sure we were reassured and informed on all the steps that a home purchase needs. She was available on evenings and weekends and never made us feel bad if we had just one more question. If we had to do it all over again, we’d want Mary to help us again and we wouldn’t hesitate at all to recommend Mary’s services to another homebuyer. Thanks, Mary! It has been a pleasure working with Mary, she is excellent. Assisted since the first time I spoke with her by phone. Provided above excellence service through out the process and went beyond on making sure everything was appropriate for us. I had an extraordinary experience, specially as a first home buyer. She made our dream house come true. Thank you Mary! My husband and I had the pleasure of working with Lina Penagos of The Yao Team, which was a huge benefit as not only is she super friendly and knowledgeable, but she is also bilingual, which was a big advantage. She made herself available to view homes as quickly as possible and we just loved working with her! We will definitely look her up in the future! Mary, Yien, Alysa, and their assistant Heather are by far the BEST real estate team! They were so incredibly helpful in our home buying process. They are extremely knowledgeable of the Orlando area and helped us narrow our search when we initially didn’t know what would be the best neighborhoods for us. They were patient with us while we worked out our financing options, and very accommodating in taking us to see homes. They listened closely to what we wanted and helped us find the perfect house in the perfect neighborhood. Once we made our decision they helped us put together an offer within hours and got us under contract faster than we ever expected! Mary worked closely with us to make sure we were on track and didn’t miss any details, and her and Heather’s communication throughout the process was so timely, they often answered our questions before we could even ask them. 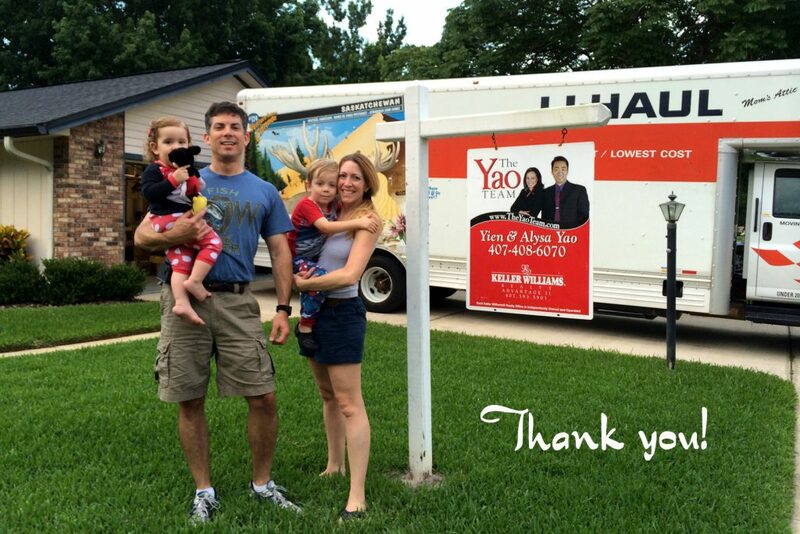 I can’t believe how smooth and stress free buying a home was with The Yao Team on our side. They are the most knowledgeable, professional, and kind-hearted people we have ever had the pleasure of knowing. We couldn’t have done it without them! To Mary, Yien, Alysa, and Heather, we can’t thank you enough for everything!!! Mary Callaway is absolutely amazing and we simply can’t say enough positive things about her. She guided us through 3 separate housing transitions and exceeded expectations each time. Thrilled to have found our forever home with Mary. Even though we have known the Yao’s for a few years as neighbors and community business people, this is our first time where we have personally needed and utilized their services. It was a great experience for us. They were extremely professional in every way and their understanding of our needs was spot on after our initial introduction. Integrity, responsiveness, knowledge, honesty and professional appearance and character were at the highest levels. We just bought a new home with the Yao Team and are moving forward with the eventual listing and sale of our larger existing home. My wife and I have all the confidence in the world in Alysa, Yien and their team and would not hesitate in recommending them to others. I want to thank you all so much! Especially Mary Calloway for helping me find my home which I love. I searched for almost a year and she stuck by me the entire time. I would definitely recommend your team to another who is looking for a home. This was my first home buying experience and Mary took me through all the steps one by one and helped me understand everything. It was stressful for me being a single mom and trying to find the right home to fit my budget and you all made me feel comfortable in keeping me on the right track and finally finding that one home that fit me and my son. Thank you Yao team! Mary Callaway is an incredible advocate for her clients. We met Mary early in 2017 and she has worked diligently with us as we found a rental property and built a new home. We were relocating from out of state and she went above and beyond to help us. We have complete trust in Mary and she never let us down. She is a knowledgeable, professional, and approachable realtor. She gets to know her clients and walks with you on the journey. We never felt pressure to make a decision. She truly had our best interests in mind and this is a refreshing and rare quality. She helped us navigate the process of building a home and helped us every step of the way. If she did not know an answer, she would find it and this degree of accountability was invaluable. She was available for questions, guidance, and advice and we always felt like a priority. We recommend her to everyone as she is the best! Please, if you have a real estate need, talk to Mary. You will not be disappointed! Mary Callaway, from The Yao Team, made the home buying process so smooth and pleasurable. Mary was extremely patient with us, as we were a bit indecisive on whether we wanted to go the single family home or town-home route. We went to view over a dozen properties. Mary was extremely knowledgeable about the area and each of the homes. She quickly understood our taste and helped guide us towards properties that matched our liking. We definitely recommend Mary, 100 times over. She kept things fun while keeping us calm. The Yao’s were wonderful. Our transaction became very complicated at the closing table, but Yien provided an attorney so that we could close as scheduled. He was very supportive the entire time. I was impressed with his knowledge of all things related to real estate and real estate contracts. It really meant a lot to us that they were there in our time of need. I definitely would recommend them. It was truly a pleasure to purchase my investment town home through Yien, Alysa, and with the specific help of their Buyers agent Mary Calloway! I don’t think the process could have been any easier! Mary was knowledgeable and extremely responsive to all of my needs and questions. She was kind and respectful but ready to be firm if that was what was needed! I could not more strongly recommend the Yao team!! We first met Mary through a call to her office to view one of its listings when we were beginning the process of relocating and thought we knew the area we wanted. That house wasn’t right for us, so Mary agreed to help us with our search, which started out with questions from Mary and a lot of listening on her part regarding what we were looking for in a house, neighborhood, and community. 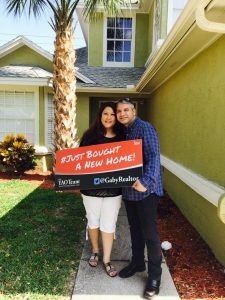 While anyone can view a home online on their own, Mary really shined with her in-depth knowledge of the various cities, neighborhoods, and schools in the suburban Orlando area, which we never could have learned on our own. Since we were only in the area for a short time, Mary squeezed us in, researched properties and neighborhoods (does she sleep? ), and showed us a number of properties with patience and input to help us make the right decision. Once we found the house we wanted, she assisted us through the entire process from offer through closing- from negotiating the purchase, to helping us obtain inspectors, to working with the lender, and setting everything up to make the purchase run as smoothly as possible. To this day, she is still helping us with names of contractors, stores to get good deals, and local sites and restaurants to visit. We’ve met and worked with various agents over the years and Mary is by far the hardest working and most professional, skilled, helpful, and caring agent we have met. We would highly recommend her to anyone looking to purchase real estate- whether it’s a home, investment property, or commercial property. Thanks Mary! The Yao Team works seamlessly together to help their clients. We sold our home of 18 years quickly, for more than our asking price, and to a cash buyer. Their skills in negotiation surpass all others. They walked us through every detail, step by step with cheerfulness and integrity. I highly recommend them! We have now purchased our new home with Mary from the Yao Team. She is patient, kind, and expert, just like the rest of the team. They held our hands through each step, from finding a home, to finding insurance, inspections, and closing. I was looking for an investment property in Orlando and searched for a 5 Star Real Estate professional. I was presented with several options but The Yao Team was the most attractive. I sent them an email requesting a call back from someone the next day. Within 15min of submitting the request, I received a call from this wonderful Lady by the name of Mary Callaway. Mary is a big Blessing. She is not your typical real estate person that is trying to make money and move on. The experience with her was above 5 Star. She took my requirement in terms of a property, timeline and my availability. Mary will present me with beautiful and reasonable houses and brief me about them, the neighborhood, the price, etc. we were able to narrow our search down to a handful of perfect properties. I flew to Orlando for 6 hours and within those 6 hours Mary went through all the properties without rushing. She planned the entire process and it was very seamless. She gave me handouts and things to read about the properties on my flight back. I made a decision on a property and she carefully walked me through the process until closing. In summary I will like to high-lite the following: 1. Timeliness (email, phone calls, text) – Perfect 2. Communication – Perfect communication skills 3. Approach – Polite, respectful, kind, helpful 4. Real Estate Skills – Perfect. With Mary’s help, I was able to find a house, negotiate the prices and got a good deal, and successfully go through closing. Because of this perfect experience, I and going to continue to do more business in the Orlando area with Mary and her team. My experience was Perfect and my rating for The Yao Team and Mary is 100%. I will continue to do business with them. Thanks Mary Callaway for all your help. You are a Blessing!!!!! Mary listened carefully to our needs, took the time to get to know our family, and was then was patient in carefully helping to find a house that addressed our criteria. We will certainly continue to work with Mary for any future needs and are happy to recommend her services to anyone interested in purchasing a home. Alysa and Yien have been so wonderful to us throughout our whole process as first-time home buyers. From the very start, they have been professional and sincere. Alysa really takes the time to get to know her buyers, and she remembers each and every detail of important things on a buyer’s list. As a stay-at-home mom, my husband (Matt) was working during the day which meant that I had to see many homes without him. Alysa always made herself available to show me homes during the times that worked for me and my baby’s schedule. It was so helpful that Alysa would take videos of the homes that I was interested in so that my husband could view them at work. Matt really appreciated being in the loop in such a competitive market where we knew we might have to pull the trigger at any moment! Alysa was prompt in her showings, and Yien was always available in case Alysa could not make it to show us a home. We really appreciated that Alysa took the time to get to know us, and she would point many things out about a home in relation to anything from its condition to how it would suit our needs, wants, and personality. Alysa really understood what we were looking for in our first home. Yien made sure that the offer process was stress-free for us, and both he and Alysa made sure that we were in the know with every part of the offer process. As first-time home buyers, we greatly appreciated their willingness to give us every piece of information so that we could be fully aware and make smart and informed decisions. Alysa and Yien really made sure we were kept in the loop as the process moved along. Alysa and Yien did such a wonderful job working together to move our process along quickly and efficiently – they are a great team who are hard-working, good at what they do, and we can tell that they love it, too. We wouldn’t have wanted any other team of people rooting for us to make a smooth transition into our first home. We are very happy in our new home and are enjoying what it means to be home owners! Niki, Matt, and Chloe M.
I am writing the following letter to thank you for the manner in which you handled the purchase of our home at 1151 Needlewood Loop. As you know, we initially worked with several realtors, prior to our meeting. Many of these agents were very good, but none came close to the friendliness, patience, and work ethic that you brought to this transaction. For this reason, we felt it extremely important to recognize your extraordinary efforts. After several months of weekend and evening meetings, I was particularly impressed with your patience and attitude. Not once were you pushy or demanding, even though we may have been difficult to work with at times. You allowed us time together to make our own decisions and were always punctual, even though we frequently were not. I want you to know that we are both thankful that you took the time to really listen to our needs and take the time to translate those needs into an efficient search. With two jobs and two children, we never seem to have enough time, and the fact that you personally visited each home before presenting it to us was very significant. Your knowledge of the local market, market trends, and transaction details was superb. I realize you spent many evening and weekend hours either researching various options on our behalf or coordinating meetings for the next day and because of this I am forwarding this letter of recommendation to your manager. Finally, I want to thank you for helping us to buy our dream home. This was a pleasurable experience for both of us and you made it as stress free as is possible. It is obvious that you have a genuine concern for your clients and have a very good work ethic. Because you have proven to be ethical, hard working and friendly, we frequently recommend your services to anyone we know who is interested in buying or selling real estate. Thanks again, and wishing you the very best! Mary Callaway is attentive, professional, and extremely patient. She listened carefully and took notes on my list of priorities and requirements for my first home. Mary wanted to know my everyday activities and life style as to find the perfect community/neighborhood I would feel comfortable in and have the amenities that were important to me. She was very accommodating to my schedule, working 9-6 Monday through Friday she scheduled viewings for me after work and multiple viweings on the weekends to maximize our time. Mary is very organized, knowledgeable about interior and exterior construction, appliances, finishes, and estimating realistic monthly costs. After each viewing she wanted to know what I liked and what I didn’t like so she could eliminate properties from the list that included designs, construction or features I disliked. Mary was extremely patient with me as a first time home buyer, we viewed over 40 properties. Her positive attitude and encouraging me not give up, that we were going to find the perfect property, kept me motivated and confident through the property search process. Once we found “the one,” Mary helped me through every step in the process of making an offer through to the closing. She gave me a checklist of important dates, accounts I needed to setup, and important contact information. My first home buying experience was a great experience all because of Mary Callaway! I would definitely recommend Mary to anyone looking to purchase real-estate! My wife Rajani and I would like to express our deepest gratitude and appreciation for making our dream come true. We still remember the day we met you more than a year ago, when we were looking for a rental house in Orlando. We were so impressed with your friendly demeanor and professionalism. When we decided to purchase a home, we never thought of going to any other realtor other than you. Ever since we contacted you, you were able to accommodate our needs based on my busy schedule and were always very helpful during this entire time. You kept us updated on all aspects of the home purchasing process and gave great inputs throughout. We still couldn’t believe that the entire home purchase process beginning from the purchase offer to closing completed within 6 weeks time. This couldn’t have happened without your hard work, diligent work ethic and dedication. Choosing you as our realtor is one of the best decisions we ever made. We consider you as part of our family. Thank you for making our home buying experience a memorable one. We would highly recommend you and The Yao Team to anyone looking for a Realtor. We selected the Yao Team to help us with both buying and selling. After 15 years in the same home, it was time for a larger house due to our growing family. Alysa spent countless hours with us to help narrow down the location that would fit us best, and to help us identify what we truly want in a home. We were extremely picky buyers, given that we did not have any urgency to move (no need to relocate for work or schools or anything like that). We simply had a desire to move and wanted to wait for the “perfect house”. She was very patient with us in that regard. And, such a pleasure to work with! Alysa is definitely one of the sweetest people we know – always with a smile on her face, but down to earth and understanding. When it came time to make an offer, the Yao Team did an amazing job. Given the state of the market, we knew that when we found the right home, we would have to act fast and expect competition. Sure enough. There were four other offers on the house that we wanted. In the end, the sellers chose us – and they told us that it was because of the impeccable offer. Even the seller’s agent commented that our offer was “beautifully done”. We are now very happy in our new home. Yien and Alysa made buying our first home utterly painless. They educated us on what we needed to know about the market to make good offers. What I liked that most was that when we decided to pull the trigger on an offer the entire team kicked into high gear to get all the paperwork in quickly (and correctly). They also made closing a very smooth and positive experience. Yien & Alysa expertly guided my wife and I through the learning curve of purchasing our first home. They listened carefully to what we liked and disliked about the houses we were shown, and really zeroed in on what we needed. One day we got a call that a great home was recently listed (within a couple of hours) and was priced to sell. We all got in our cars and raced to the house to do a walkthrough, and the Yao Team scrambled to get our offer in immediately. Thanks to their professionalism, the entire process – from start to close – was painless, low-pressure, and positive. The Yao’s are genuine, warm, and patient. The perfect team and the perfect homebuying partners. They’re simply the best around. I had begun my search to buy a home 2 years ago. Due to personal and financial hurdles my search was delayed from to time, but Yien and Alysa were very patient and worked with me throughout the whole process. They continued to keep me informed of the changing market conditions and stood by my side when I began my search again. After viewing several homes I was finally able to find the perfect house for me and my family. The house truly exceeded my expectations and I know that there would have been no way I would have been able to purchase this house without the help of Yien and Alysa. When I hired them as my Realtors, I hired a professional team with thorough knowledge of the market. Due to their several years of experience in the industry, they developed the set of skills needed to enable me to purchase such a great house in this competitive market. They used their knowledge of the market, their professional business relationships and their negotiation skills to help me be the homeowner of the house of my dreams! I know I would not have been able to purchase this house without them and I would highly recommend them to anyone in the market to buy or sell their home. I was a college student when I purchased my property. Alysa was not only flexible with my school schedule, but she treated me as though I were her own child. She explained everything I needed, sometimes more than once, in a way that was understandable and relatable. She was very knowledgeable about areas all over central Florida, and always had excellent recommendations that were always within the price range given. Her honesty was also something I valued and appreciated so greatly in Alysa. If I was looking at something out of my price range, she would reel me back in. Also, while we went to look at properties she was very honest about what I should look for and exactly what I should avoid. I would, and already have, HIGHLY recommend the Yao team to anyone looking to purchase or sell their homes! Can’t emphasize how much time Yen and Alysa dedicated to helping us look for a home to purchase as well as the time they spent getting us through this process. Not only did they show complete professionalism but on the other hand they made us feel like their best friends. They went out of their way to walk us through every detail – big or small – and kept us informed via phone, email, and text. They were always available which is a positive asset to every home buyer. If I ever need to buy or sell again I can assure you I will be using Yen and Alysa as this was a truly unforgettable and positive experience. If you are in the market for a dynamic and effective realtor or realtors, Alysa and Yien Yao’s team should be your go to! I am ever so grateful for the Yao team. As a professional in the mortgage industry looking for a home this team impressed me with their knowledge, professionalism and making feel like I was their #1 customer. They keep up with the market slopes and know the business very well. The Yao team are not average realtors, they are more than superior. Thanks again Alyssa and Yien for helping me find my home sweet home. I am writing this letter to thank you and The Yao Team for providing exceptional service to me. We want to express how much of a pleasure it was working together and we appreciate everything you did to sell our home. You are a wonderful person, extremely knowledgeable and professional. It was because of your personal commitment and patience that the sale of our house was successful. Even when we encountered a few bumps on the road you managed the issues professionally and patiently enough to overcome them, and above all, to get the job done in an excellent fashion. You always had our best interests in mind. We are very satisfied and happy to be your clients and are looking forward to long lasting relationship. I will definitely call you for the next house (whether we buy or sell). We highly recommend the Yao Team to whoever is looking to buy & sell a house. As a first time home buyer, this process was all new to us and nerve racking. The team not only reassured us that it was all going to be ok but walked us through every step and was very helpful and patient. She is very knowledgeable about the area and would give us good feedback as we narrowed our location for our home. Her response time is excellent as she replies quick to emails/texts which is very much appreciated in a busy household. We are beyond thrilled with the purchase of our newly constructed home and all the help and guidance they gave us. I will highly be recommending her to anyone that is looking to purchase their next home. My husband and I worked with Mary Callaway to find our home. Mary immediately took the time to determine our wants and needs. We were new to Orlando and didn’t know much about the area. Although, we reached out to Mary early in our home search she helped us to findthe right area for us to live and even helped us to nail down the right communities based on our communication. Throughout the process she was very responsive and professional. We love our home and our community and we have Mary to thank for guiding us here. She an above average Realtor who goes above and beyond for her clients. She loves her job and it shows. We are very grateful for Mary’s help and would recommend her to anyone looking for a Realtor in the Orlando area. Mary was instrumental in my family’s search and eventual purchase of the home we now call our own. She was extremely patient and understanding of all our requirements and took the necessary time to tailor the search and viewing of the homes we looked at pertinently. Her knowledge of the area and of the entire home buying process also alleviated a lot of the stress and any misgivings we may have had. Thank you again and we wish you much success for many years to come! Mary was very accommodating during the process of purchasing our condo. She was available during all hours of the day. Since day one she was prepared and provided us with detail property information. Mary made our buying decision a lot easier and helped the process move quickly along. Our purchase was a short sale condo and we were able to close in just over two months after we placed our offer. I was very happy with Mary Callaway and her support team. She was very helpful in not only finding a new home for me but ensuring that I didn’t make any mistakes. Throughout the entire process I felt like she was in my corner, always looking out for my best interests. She always maintained a very high level of professionalism and attention to detail which is why the next time I need to buy a house she will be my go-to Realtor. I would recommend her to anyone who is looking to buy or sell a home. Thank you Mary! I love my new home! Our agent was very knowledgeable about the area and the process around buying and selling the houses. She was always on time, always prepared to answer all the questions and had a great smile. She was also very professional in her appearance and negotiations with the sales team and the sellers. There are very few people who would go beyond just the buy and sell part, and make life long connections. Mary is one of them. We know that she will not only help us in settling down process but also will make sure we are happy at our place for years to come. I would recommend Mary Callaway on any given day. We only had 1 week to find a home in the area and Mary was able to schedule everything for us during that week and we really found a nice home in such a short time. She is extremely knowledgeable about the neighborhoods in the area we were looking. Because of her and the Yao team, the closing was very easy. Based on our experience with Mary, we would highly recommend her if you are looking to buy a home. Mary and the Yao Team were so helpful and thorough in the whole home buying experience. The answers we got from Mary C. were always checked for validity and communicated very quickly via email, text or phone call. I would highly recommend Mary and the Yao Team for your home buying needs. Please accept this review about our experience with The Yao Team. We were extremely pleased with the overall experience. My husband and I found our home-buying experience educational and rewarding. Proper guidance and recommendations from the team was well-noted. Kim was very helpful in assisting with the organization of the sale on the next steps/checklists. Thanks again to all! Everyone at Keller Williams Real estate were attentive to our house buying needs. Mary Callaway and Waterstone Mortgage worked to get our financing in order, getting us a 1 week extension so we would not lose the house. Mary even made sure the lawn was mowed before we moved in! Thank you for all of your hard work! Alysa and her team were great! She helped us to look at many houses and helped us to find the perfect house in a great school district. She really new the local area and only showed us houses that fit with what we were looking for. She and her team were kept up with the whole process and tried to make things as easy as possible. 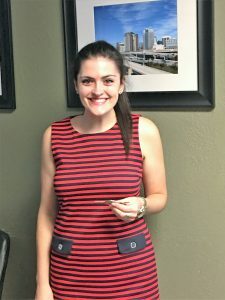 We were very happy with Alysa and would highly recommend her to anyone looking to buy a home! Thanks again! Yien and Alysa worked with us every step of the way, and for more than just a weekend of showings, to make sure that they really understood what it was that we were looking for. Because of their knowledge of the area, they were able to show us neighborhoods we were not even aware of, and had the connections to help get us the house that we really wanted. It was a great experience from start to finish and we are very appreciative of the work Team Yao put in to getting us the house we wanted. We always felt very confident to be served by Alysa, she is a very gentle person, always willing to help and give us all the information needed to purchase the house. She is excellent. Alysa and Yien were excellent! They made this process as easy as possible. I contacted Alysa on a home that was already under-contract, but she was willing to help anyway. She offered to send me some listings and show me a couple of houses. The first day she took me out, she must have showed me 10 different houses. She was very patient and kind. We are first time home buyers and had lots of questions. She was always quick to respond! When our schedules conflicted and Alysa couldn’t do showings, Yien was right there to help. He was just as nice as Alysa, and it was good, because he gave us a different perspective (from the sellers point of view). Even their assistant was spectacular-on the ball and always there! I would definitely recommend this team. I am beyond satisfied with their service and level of professionalism. As I said before, they are excellent! Alysa and her team were excellent. She made the entire home buying process go smoothly, and when an unexpected problem arose, she and her team were quick to fix it. Her extensive knowledge of the Orlando area and its neightborhoods will help you get into the community that you want at the best price. I would highly recommend the Yao team to anyone considering buying or selling a home in the Orlando area. The Yao Team was a great asset to have on my side during the purchase of my first home. New to the whole experience, the Yao Team provided valuable guidance from the beginning. All of my questions were answered and their knowledge of the industry, coupled with their genuine helpfulness, made them more than suitable to exceed my expectations. There were never any slow downs on the way and the Team was always available to assist if I called or came by the office. The experience went very well from start to closing! Ryan and I had an amazing experience with Yien and Alysa. We decided to build a home, and without their expertise and persistence, we would not have been able to build the home we did. Alysa was with us every step of the way, for 10 months, as we negotiated, planned, budgeted and built the home. As with every home, there were issues along the way, and Alysa handled everything. We were so glad that we had the Yao team! Yien and Alysa are the most professional and skilled real estate professionals I have ever worked with. I have used them on multiple investment properties in Orlando and I have been extremely pleased with my purchases. I also have used them on two home sales. Their expertise in the Orlando market and knowledge base of real estate is second to none. I have no hesitation recommending them to friends and family. Yien and Alysa Yao helped us with two purchases. They are as friendly, trustworthy and professional as the best realtors in the market. We plan to use The Yao Team again in the future. The Yao team made a smooth transaction for the purchase of an investment property. I have purchased two more through the Yao team due to their ease of transaction and ease of closing. Yien and Alysa were a joy to work with. They are diligent, honest and very knowledgeable about all things real estate. We were looking for our first home and were unfamiliar with how it all worked. They took the time to meet with us and go through the different types of purchase contracts and advise us on which was the best way to go. They took most of the stress out of the closing process by giving us a step-by-step, prioritized list of things we needed to do prior to closing. They recommended people to do the home inspection, septic clean out, handywork and even get the best rate on homeowner’s insurance from a reputable company. We were very picky buyers and must have looked at dozens of houses. Alysa never got impatient with us and always went above and beyond her regular call of duty by responding to my e-mails and phone calls after hours and even a couple of times on her off-days! We are very appreciative of all the Yao team has done for us and would gladly recommend them to anyone who is looking to buy or sell their home. Yien and Alysa are knowledgeable, professional, and super nice with hearts of gold! They made purchasing my first home enjoyable and stress-free. They are always available for their clients and really go the extra mile to make the home buying experience special and personal. I recommend them to everyone I know and look forward to working with them again in the future. The Yao team helped us through a long drawn out bank owned selling process. With their help the selling bank paid for the roof and wood issues causing a problem with our FHA loan. They stood behind us every step of the way. They are a wonderful team! Very knowledgeable of the whole Orlando Area, had a lot of houses to show, helped pointing out potential problems and explained the whole house buying process very well. Has very nice printed guidelines what to expect, etc. Would definitely use/recommend again. Yien and Alysa lead an incredible team. They worked with us for the past three homes we have purchased over a 12 year period. From our primary home to our residential rental properties. As an electrical engineer, myself, I examine everything. I battered Yien with questions about the selections for homes we were considering for purchase. Yien was able to answer most questions or offer experts who could answer the questions. From construction questions to contracts law, Yien found a way to answer my questions. Yien should be an engineer. His mind is analytical and identifies the logical next step. Alysa sees the human side of our needs and has an intuitive capability that understood the real questions beneath the analytical questions. The Yao team is the only team I will use for my property needs. The Yao Team has held my hands in the past 4 years throughout my real estate investment experience. In 2010, I had a general view on the U.S. real estate investment opportunity. They offered their local knowledge, experience and most importantly patience to help me grow. As an international investor, I need other services than just property transactions. Wherever necessary, the Yao Team referred trustworthy sources to me. In retrospect, I would not be able to take advantage of the investment opportunity without their partnership. Yes, I view them my partners, not mere agents. While I live overseas, I trust their judgement when adding properties to my existing portfolios. If you give the Yao Team a try, in my opinion you’ll be happily surprised by their service level as well. We were a challenging couple to work with, because we each have our own set of expectations about what kind of house we wanted, what features it should have, etc. etc. etc. Yien and Alysa worked with us every step of the way, and for more than just a weekend of showings, to make sure that they really understood what it was that we were looking for. Because of their knowledge of the area, they were able to show us neighborhoods we were not even aware of, and had the connections to help get us the house that we really wanted. It was a great experience from start to finish and we are very appreciative of the work Team Yao put in to getting us the house we wanted. We hope you guys had a wonderful Christmas and a great start to the New Year. Just wanted to let you know what a wonderful holiday season we had in our home. Anyway – just wanted to let you know that you were thought of with great fondness as we recounted to our family how much you both helped us to find the perfect place here in Orlando. You two are such a great team! Blessings on you both as you continue to make life better for those lucky homebuyers you help find the perfect place! In the purchase of my home The Yao Team definitely went above and beyond in their service as compared to realtors I have used in the past. Always prompt, accommodating and extremely knowledgeable. I will be recommending them to anyone I know in need of a fabulous real estate team for buying or selling a home. Yien Yao, was the perfect agent. He was always available to answer any questions. If he did not know the answer he found the information for us. We were very satisfied with everything. Thanks again. Yien Yao was an outstanding agent. Very helpful. Always went above and beyond what we expected. Michael S. & David K.
Mr. Yao did an outstanding job from contract to closing. He did an excellent job in assisting us. He was always there to answer all of our questions. We would highly recommend him. SGT. Joseph & Holly J. Everything was PERFECT. Yien was professional every step of the way and helped us find our DREAM home! Medhat A. & Sharon T.